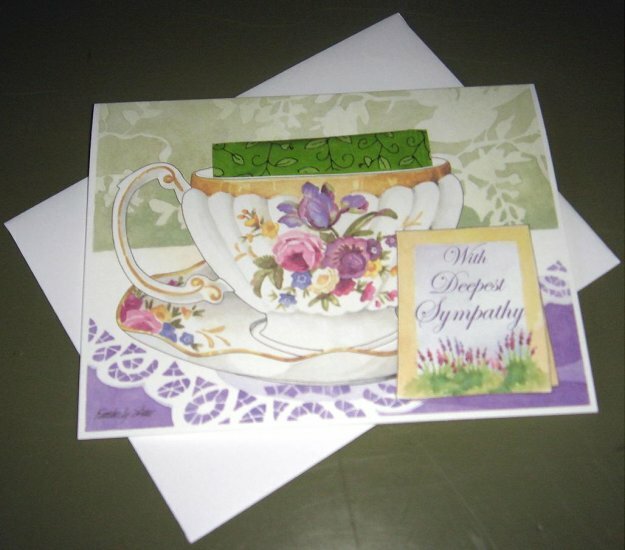 This beautifully illustrated Tea Cup card contains a real tea bag, so you are not only sending a greeting, you are sending a thoughtful gift. This get well card encloses a package of Harney & Sons Japanese Sencha Tea. I have cards for the teacher, birthday greetings, and get well soon, as well. Stock up to have these on hand as the need arises. I will ship 1-3 cards for the same price. In this same suite of products, I have note pads and a perpetual calendar. All are especially nice for gift giving. And don't forget to bookmark my ecrater website!